This is again a continuation of a blog that tries to direct visitors to Amsterdam in some of the do’s and don’ts of Amsterdam. I have been detailing a little list of ways that you can maximize both your fun, your connection to the Dutch people, and your safety here in Amsterdam. A trip to Amsterdam without going into the Redlight district (RLD) would be like going to Paris and not seeing the Eifel Tower. This is one of the intriguing draws to this city and something you will not see anywhere else in the world so go have a look. People fear for safety here, but it is not a serious worry as the RLD is monitored by uniformed police officers, plain clothes police officers, and private security. While walking around you are allowed to look at the girls, even gawk at them… but if you do be warned they they will try to get you to come in. One thing that is not alright however is to snap photos. If you want evidence of the private security I mentioned snap a photo and you will be surprised how quickly a big guy materializes and tells you that is not allowed. Or one of the girls in the windows starts yelling at you… either way don’t do it, it’s not cool. 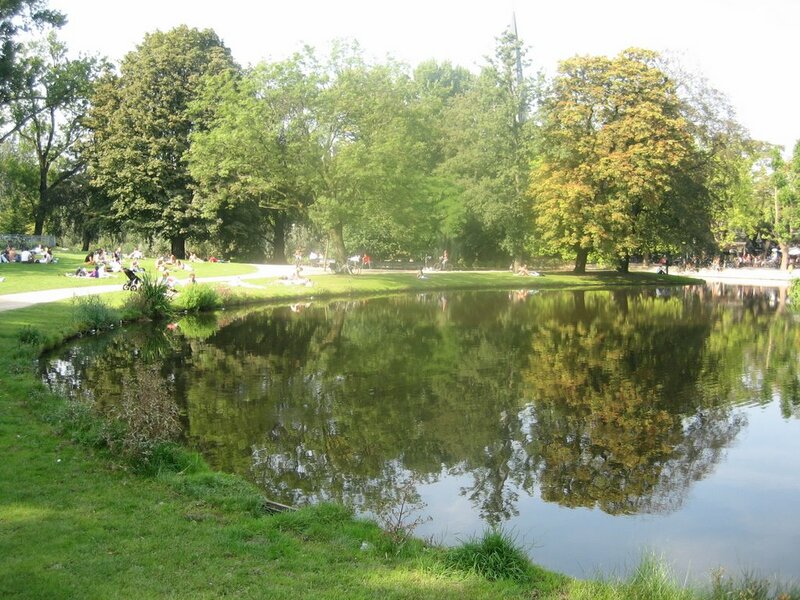 Vondel park is fantastic, it is huge – I recommend if you have the chance to ride a bike around its full circumference – you can spend much time here relaxing , BUT – remember it’s not Amsterdams only park. Both the Vesterpark and Osterparks (West and East) are also wonderful on a nice day. Going there also means you will escape all the tourists and view the Dutch there in action doing their great little picnics with friends. The Amstel River is Amsterdam’s main river and the namesake of the beer of the same name. With all the litany of canals dotting the city sometimes this beautiful water way is forgotten about. A walk along it will show some of the fantastic bridges in the city as well as a view of Amsterdam’s most plush hotel the Amstel hotel. For a good walking (or bicycling) route, I recommend traveling next to the Amstel River until you get to a street called the Centuurbaan. At that point you would take a right and head along the Centuurbaan through de pijp, Amsterdam now bohemian and ethnic quarter – through to the oud zoud – Amsterdam’s new hip/ trendy spot – then to the museumplein – a lovely park and the home of the Rijk and Van Gogh museums and finally ending off in Leidseplein. You’ll appreciate this cross section look of the city!